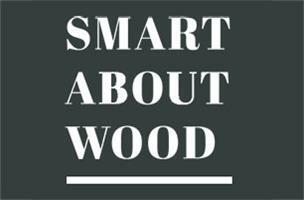 Smart About Wood - Carpenter based in Hove, East Sussex. Since setting up Smart About Wood in 2008, I have worked on a wide range of carpentry jobs in Brighton and Hove and the surrounding areas of Sussex. I specialise in bespoke, beautifully-crafted home storage solutions including shelving and cupboards, wardrobes and under-stairs storage. I lay solid and laminate flooring, and do external work including decking and cladding. I provide a bespoke, hand-finished picture framing service. I am also happy to provide free quotes for small domestic carpentry jobs such as timber repairs and door hanging. Smart About Wood operates as part of an informal network of local tradespeople who are dedicated to providing quality services and trading fairly. As such, we can provide a comprehensive building and maintenance service for larger projects at affordable prices. Visit smartaboutwood.co.uk and my Instagram @smart_about_wood for more samples of my work, and don't hesitate to contact me for a free estimate or to talk through your ideas. I look forward to hearing from you.